Second grade? Pfff! No, thanks. 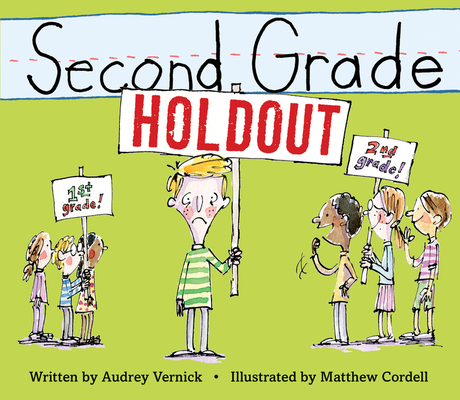 The comically anxious narrator in this book thought that first grade had its problems, but overall it was pretty awesome. He'll take grade one over grade two any day, thank you very much! Especially because he and Tyler, his best friend, will not be in the same class this school year. On top of that, Tyler's sisters have been feeding the boys a steady stream of rumors about the horrors of second grade. Luckily they catch on that just maybe some of those stories are not one hundred percent true. Could it be that second grade is not so bad? Find out in this laugh-out-loud story that has more than its fair share of heart.